The fire of the sun lit a corner of the garden for just long enough for me to capture 3 images with my iPhones native camera.This is the best. Sad To Report: The Sterling Silver Rose is no more replaced by a very neatly dug ditch. So glad I captured a few images last week. I am Always Happy to hear what you have to say. 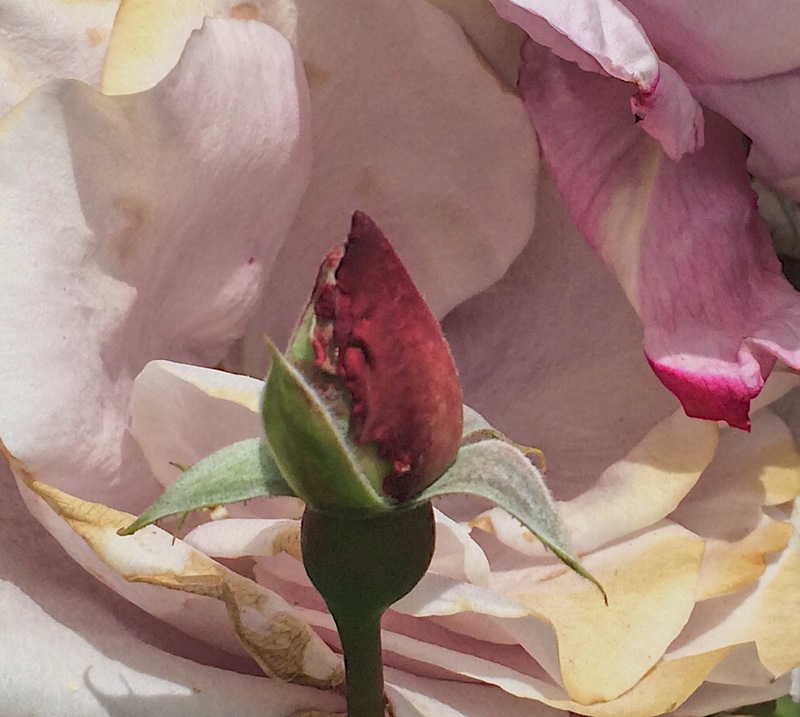 This entry was posted in flowers, Gardening, Nature, Passion Flower, Photography, Sterling silver rose and tagged flowers, Gardening, nature, Photography. Bookmark the permalink. I love your flower gallery, Carol! 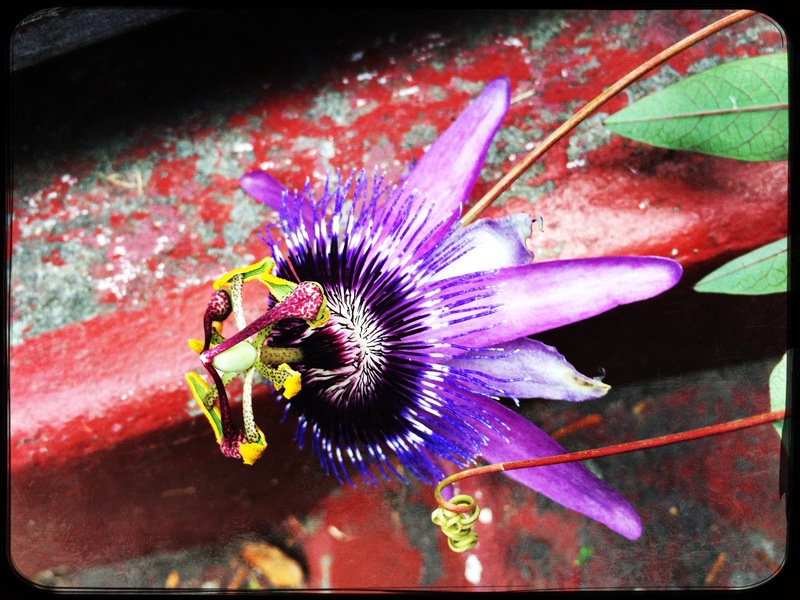 Fox Gove at Sunset is so special,and Passion Flower so beautiful! I’m with Amy, the Foxglove & Passion flower are gorgeous, Carol. 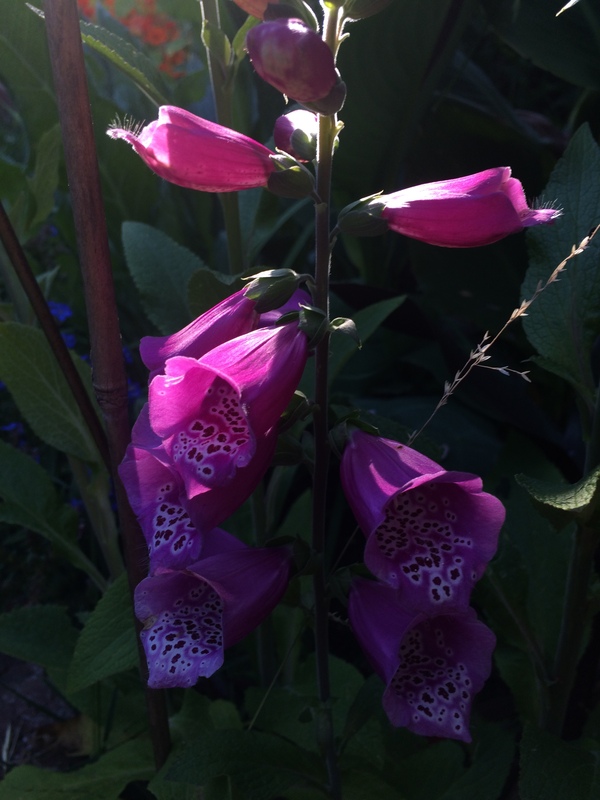 Foxglove are such alluring flowers, and you’ve given us a view that we can appreciate its design elements. Happy Photo Challenge.